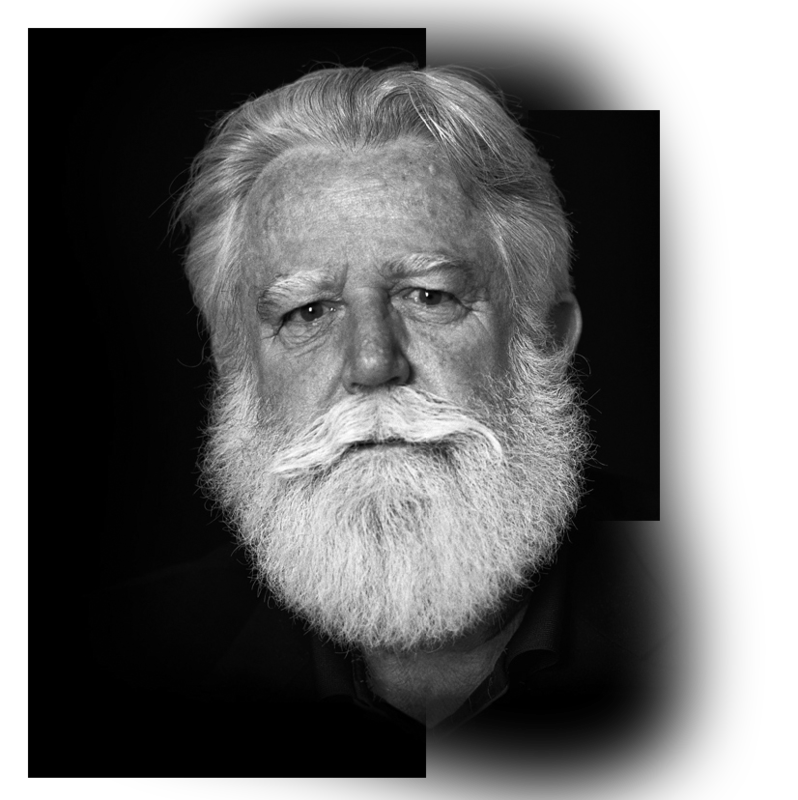 James Turrell is a contemporary artist, known for his perception-bending creations. He was born in Los Angeles in 1943. He went to Pasadena College, studying psychology, math, art and astronomy and received his bachelor degree in 1965. In 1973 he received a master in art from Claremont Graduate University. He got his flying license at the age of sixteen and has clocked in some 10,000 flight hours since then. All of his art endeavours are centered around light and space. His breakthrough came early in his life, when he had his first solo exhibition at the Pasadena Art Museum in 1967, where "he was the first artist to put on public display an exhibition where light was disembodied from any objects." Turrell transforms rooms into luminous experiences, he blurs the edges of a room so that it appears to be an open space with no borders, quite similar to Ganzfeld. A Ganzfeld is completely homogenous, thus even and unstructured, consistent and in the whole field of view. The idea behind this sensory deprivation is that the neuronal system searches for stimulation and the chance to experience usually weak stimuli such as signals from your own subconscious. He is also known for his skyspaces that are located all over the world, many of them are private property. A skyspace is a walk-in artroom, it can have different shapes. Along the inside walls are seats for spectators. The skyspace is opened up at the ceiling. The visible section of the sky with its light and colour variations is the significant part of the artwork. The natural performance of light, the different solar radiations and cloud formations perceivable through the roof hole lead to everchanging views and impressions. 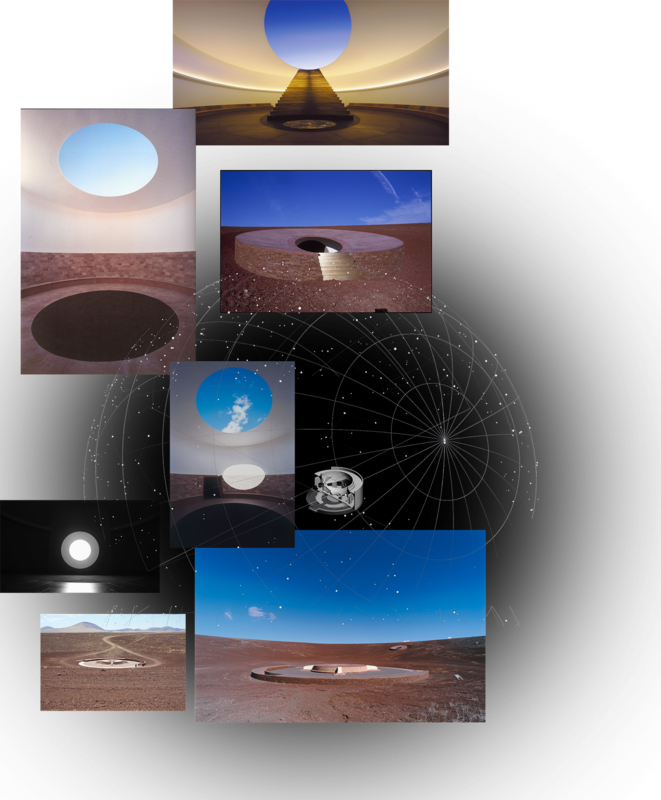 Turrell’s magnum opus is the Roden Crater. He detected the crater in 1974 after he already flew seven months over the American West in search of a suitable place for a perpetual inspection of optical effects. The extinct volcano is a two hours drive northeast from Flagstaff, Arizona in the Painted Desert. Turrell bought the crater in 1977 and has since acquired 200 square meters of the surrounding land. Roden Crater is the largest-scale artwork on earth and is still in the making. To shape the crater bowl, almost one million cubic meters of earth was moved (a dump truck can carry ca. 30 cubic meters). The crater bears subterranean, specially engineered spaces, a complex system of corridors, tunnels and chambers opening to the sky with the only goal of making natural light a transformative aesthetic, sensory and spiritual experience. There’s a Sun and Moon Space, an Alpha tunnel that catches the irregularities of the setting sun and projects it onto a marble butte dividing the room. Once completed, the project will contain 21 viewing spaces and six tunnels. If you’re in a plane at a height of 400 to 600 feet above ground, it looks like the Earth curves up to the horizon. You can experience that by standing on the cinder covering the rim of the crater, which reaches about 600 feet above ground level. The land below seems to curl up at the edges of your field of vision. Inside the bowl of the crater one can experience "celestial vaulting”. Celestial vaulting is the phenomenon where we perceive the sky as a closely fitted vault covering us from horizon to horizon rather than a limitless void extending into space. The Crater Bowl enhances this effect and gives the viewer the sensation that the sky is a flat plane of light and colour directly above them. 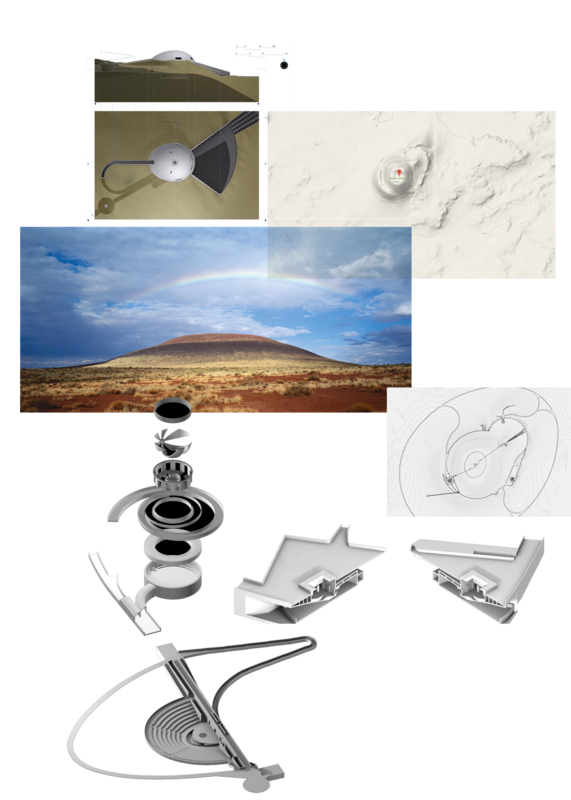 The Roden Crater object turned out to be unpredictable in terms of completion. Since the assumed dates were untenable, mostly due to lack of financial means, for now it remains to be seen when it’ll be finally finished. The Skystone Foundation, a nonprofit organisation responsible for supporting and administering the Roden Crater, is continuing fundraising efforts to complete the final phase of the longstanding construction. Turrell states that he sometimes feels like someone who still hasn’t finished his thesis and is embarrassed when he’s asked about it. There is no public information about how much of it is actually completed. Turrell hopes to witness this accomplishment in his lifetime, but a detailed plan exists so the project could be finished without him. 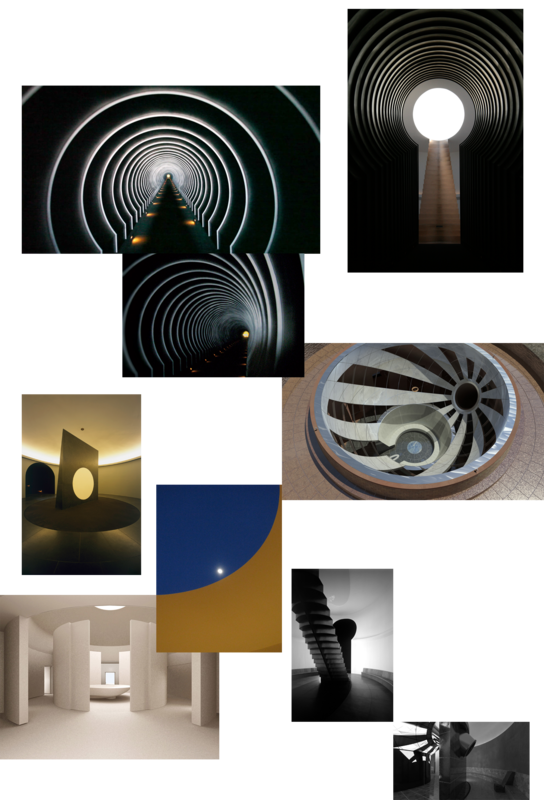 Until then we salute James Turrell with his own slogan: "Sooner than later, Roden Crater."